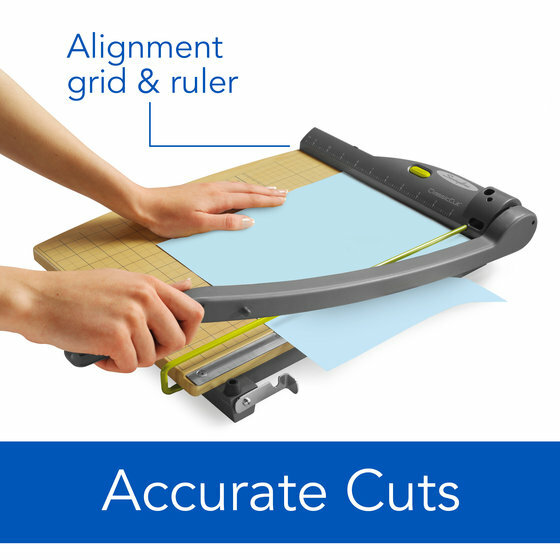 This trimmer takes precise cutting to a whole new level. 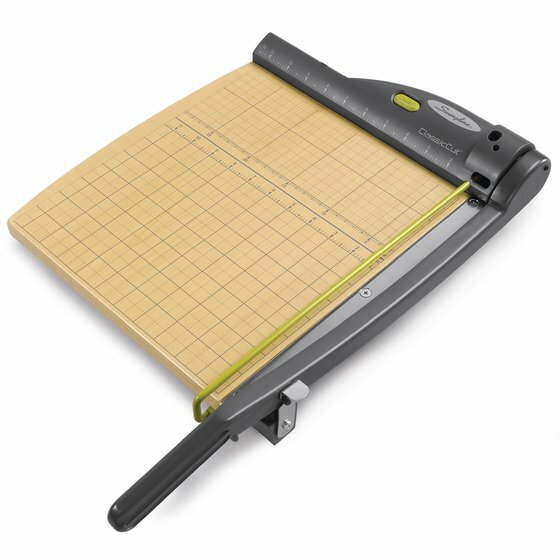 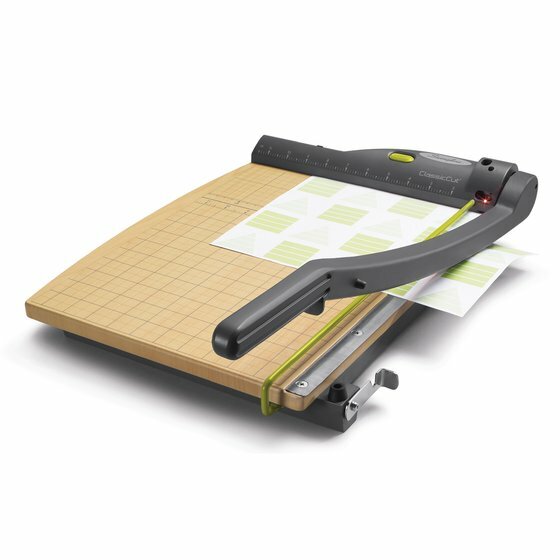 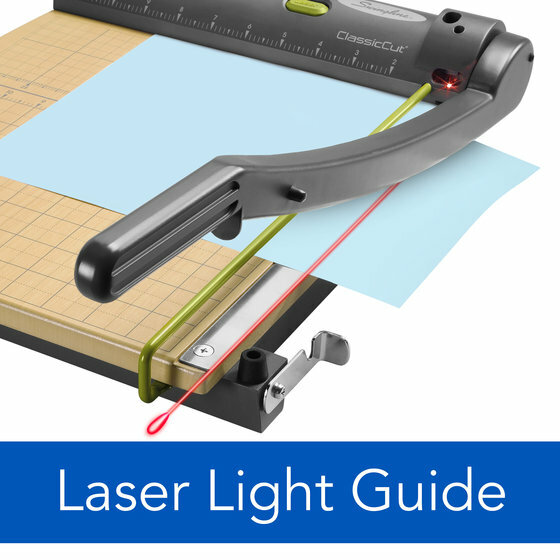 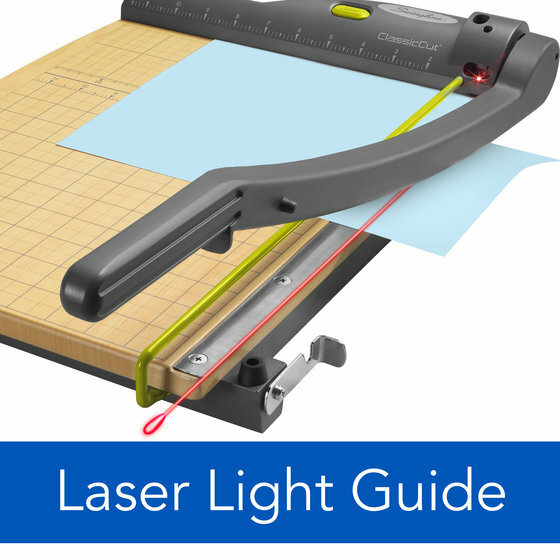 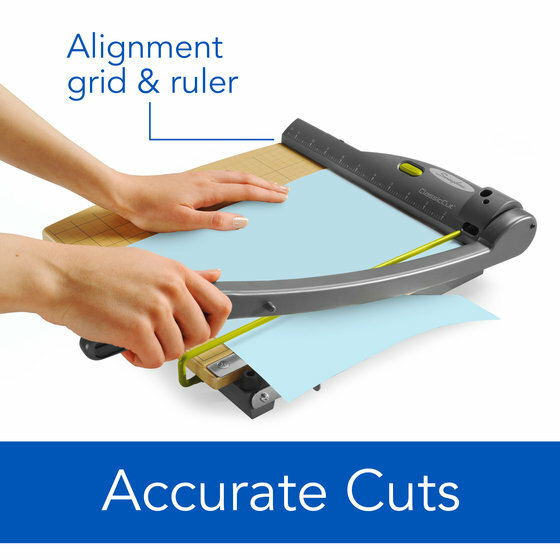 Its built-in laser takes the guesswork out of aligning paper on the cutting line, so your cuts are straighter than ever. 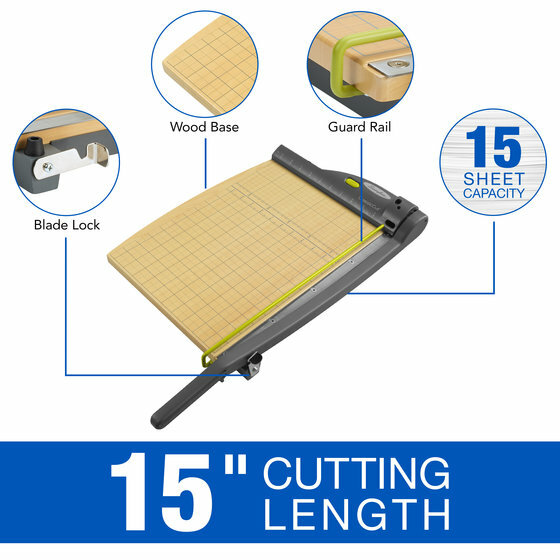 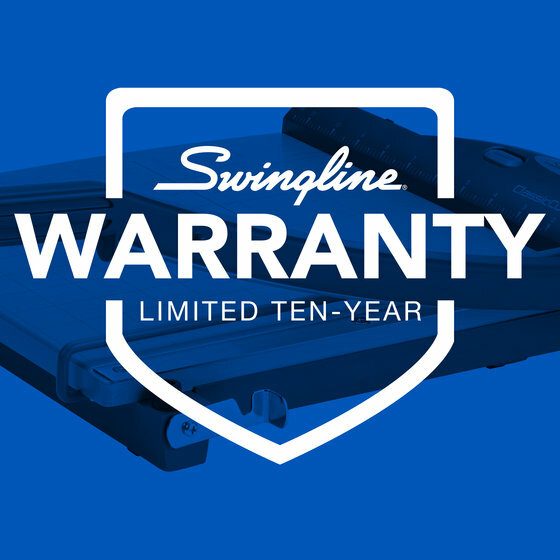 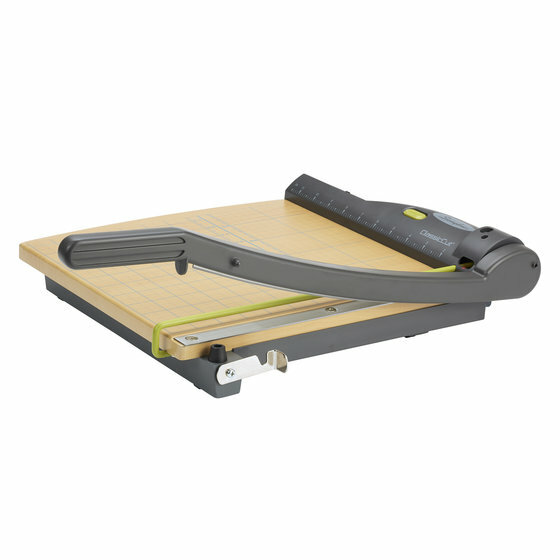 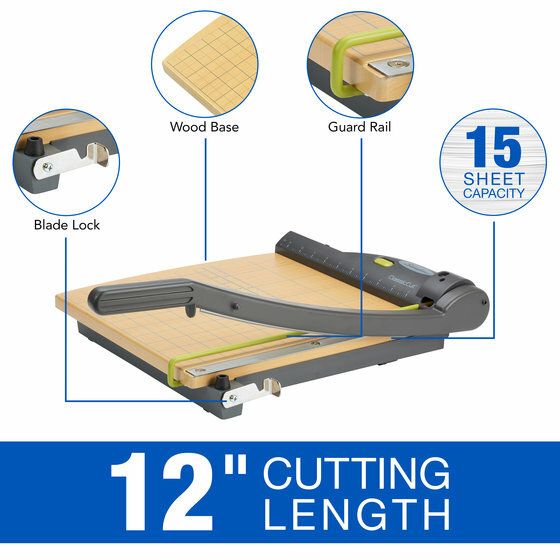 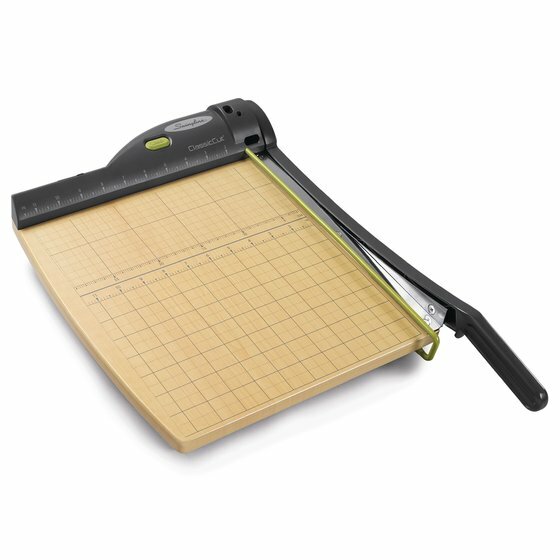 The sturdy wood base, metal cutting arm and self-sharpening guillotine blade ensure this trimmer delivers quality cuts with each and every use.